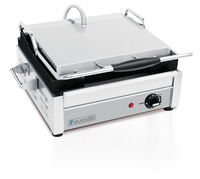 The Eurodib salamander is the perfect product for cafes, small restaurants and eateries. 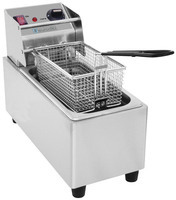 The unit comes with independent upper and lower elements that provide a variety of grilling options. The elements are available in quartz (glass) and provide a consistent and even grilling surface. The Eurodib salamander is heavy duty in construction, fully insulated and comes with a manual timer. 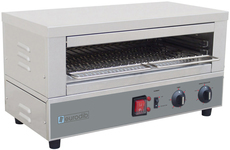 The unit is ideal for toasting, grilling, melting cheese and any other products that need variable grilling control.